It’s around this time of year that we gaze into our crystal ball and look forward to travelling trends in the coming year. Top of the list is the best places to get married around the world. Here we look at the hot destination wedding trends. Destination weddings are popular with couples for a whole host of reasons. Affordable flights, stunning beaches, guaranteed good weather, plus there’s a touch of romance about eloping abroad. It’s so popular in fact, that one in four couples now choose to say ‘I do’ on foreign shores. If you’re planning a wedding abroad for 2019 or 2020, you might just want to check out some of the top destinations that are bang on trend. Purveyors of luxury destinations, Conde Nast Traveller have hand-picked the Highlands as one of the hot destinations for the year ahead. And why not – the perfect place for a Highland fling, Scotland is easy to get to for guests, with second-to-none hospitality and a warm friendly welcome. It’s rugged wilderness provides a stunning backdrop for those beautiful wedding photos you’ll want to remember forever. With open log fires, mountainous ranges, perfectly still lakes and the great outdoors, this is an appealing destination, particularly for outdoorsy types. Plus, with some of the freshest waters and vast open space, you can expect delightful dishes of salmon and wild game, as part of your wedding breakfast menu, washed down with a glass or two of locally brewed whiskey. I visited Scotland a few years ago, just look at the views in the video below. Scotland Road Trip from Gary Nunn on Vimeo. Italy is a timeless destination that never goes out of fashion. Weddings in Italy are all about the romance, the great food and the unmistakable coming together of family. It’s what they do best and my favourite place to create weddings stories. Next year Matera is named as one of the European Cities of Culture, meaning that there will be plenty of celebrations taking place, and a real buzz about the area. 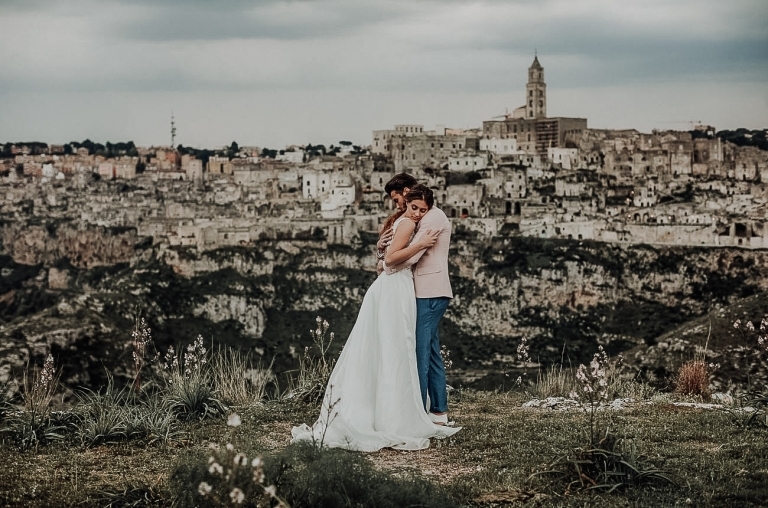 Offering a unique setting, if you’re after jaw-dropping sweeping views, rocky ranges and classic home cooking, Matera is the place to say your vows. As somewhat of an Italian destination wedding connoisseur having photographed many weddings in Italy, I can honestly say that wherever you go, from Sorrento to Tuscany, you will feel right at home. It is the ultimate destination for weddings. 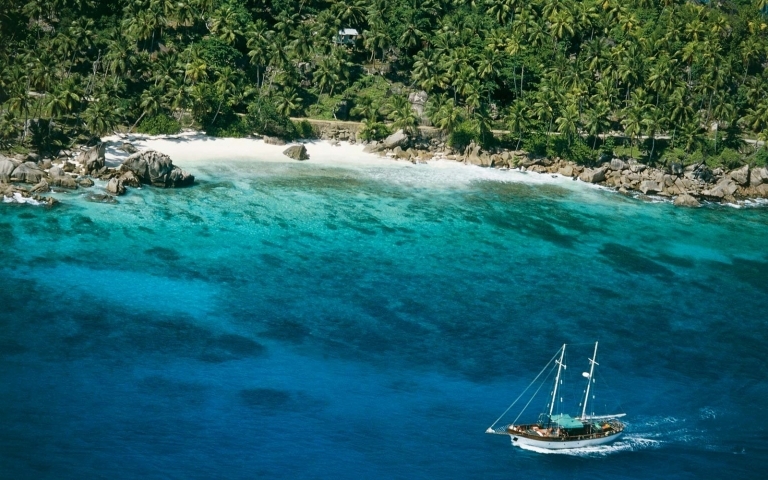 When British Airways launched the only direct flight to the Seychelles earlier this year, it opened up a whole world of possibility to wedding parties. The beautiful archipelago of 115 islands in the Indian Ocean, offers the perfect all-in-one setting for a wedding and honeymoon. With stretches of golden sand, crystal clear waters and famous coral reefs, it provides an unrivalled destination for wedding parties seeking sun and serenity. One of the easiest ways to organise a far-flung wedding in this tropical paradise, is to stay at one of the many five-star hotels on the island, such as Six Senses or Banyan Tree. With many offering wedding planners on hand to cater to your every whim, it’s one of the best places to get married abroad, and is still relatively undiscovered by British couples. Fashion and trends are often inspired by the silver screen, and with Mama Mia Here We Go Again being another blockbuster hit this summer, we’re soon to sit its after-effects ripple through the wedding industry. Set on the fictional island of ‘Kalokairi’, it’s loosely based on the sleepy Greek island of Skopelos. This small and peaceful island makes a wonderful get-away for those seeking a quiet and charming wedding abroad. You can also benefit from the great weather, and cheerful prices, still relatively lower than some of the more commercial islands. With it being a less commercial island though, it is worth bringing an experienced destination wedding photographer from the UK to take your wedding photos, to ensure no moment goes uncaptured. Another popular island that is uber ‘hip’ right now is Mykonos. This is the destination for young happening wedding parties, that enjoy a good knees up by day and night, with boutique hotels popping up in every direction, even by celebrities such as Lindsay Lohan! RELATED: TOP 8 WEDDING FILMS OF ALL TIME! Vietnam has become a hot travel trend in recent years, so it’s no surprise that Brides magazine recently named it as one its top destinations for honeymooners, specifically the Four Seasons Resort in Hoi An. Making up for the 12-hour flight, the cost of hosting a wedding in Vietnam is often much cheaper than a wedding in the UK. And because you’re making all those savings, you can really splash out on where you stay, as well as take comfort in bringing a destination wedding photographer from the UK. 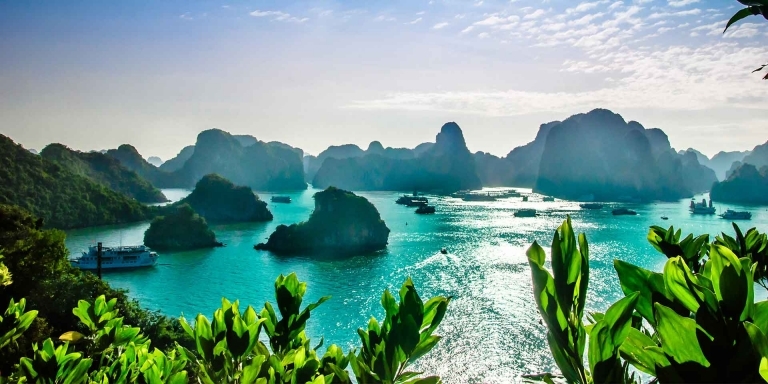 If you’re looking for a stunning beach backdrop in paradise, with luxurious touches at affordable rates, then Vietnam is still largely unspoilt making it one of the best places to get married for intrepid couples! It can only be the world wide web, of course! The internet has to be one of the top undiscovered-ish places in the world to have a destination wedding. According to Wedding Wire, ‘technological weddings’ are one of the big trends to look out for in 2019. This means destinations that offer technological solutions, from drones for Birdseye photography, to real-time technology that connects people from around the world virtually. 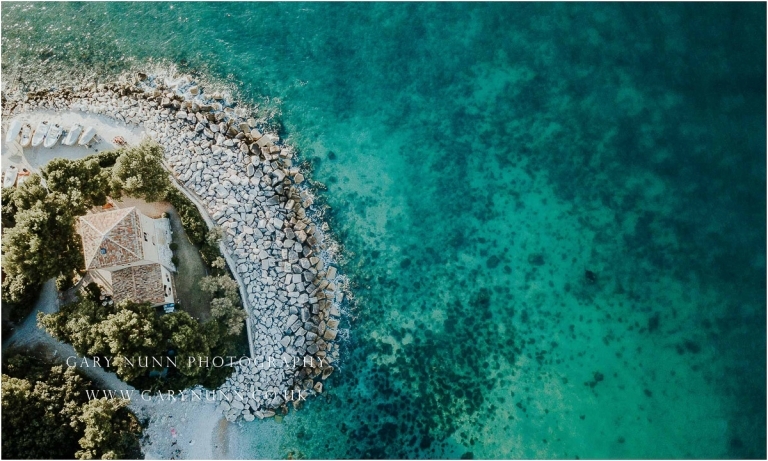 When creating wedding stories adding aerial shots of the location really provides something more special. The surrounding of the reception or ceremony cements the story with a modern twist and can create some truly stunning scenery. Of course, you could just hop on the plane to Las Vegas and head to one of the most famous chapels in the world, where they can broadcast your wedding live! Streaming your vows is a fun way for guests to attend who might not otherwise be able to attend, while giving it a cutting-edge feel too! Las Vegas itself is not short on opulence, making it the perfect place to host your stag/hen night, wedding party and honeymoon all-in-one! In keeping with the progressive theme, base your wedding party at the Park MGM – one of the newest hotels in the city. They also have a dedicated wedding team on hand to host that all-important reception, in truly elegant surroundings. Consider hiring an experienced destination wedding photographer from the UK, this will make life so much easier in terms of the language barrier and knowing they will shoot to a high standard. Book them as early as you can as they are always in demand I’m already having enquires for 2021. Book flights and accommodation as early as possible (for you and guests) to keep costs down. If you have a small party, a private luxury villa may be a good option. Check the local cuisine – make sure it is suitable for your international guests! Check the legalities required for getting married abroad. Each country has its own rules, meaning that you may need a registry wedding in advance, and a blessing on the day. Make life easy and hire a wedding planner. They will have excellent contacts with fabulous vendors and will be able to negotiate on your behalf. For wedding destinations off the beaten track why not visit Global Grasshopper, one of the leading UK travel blogs. Gary Nunn is a leading destination wedding photographer from the UK. Get in touch today for a free consultation about your special day!